The longest running business on Coconut Beach is lovely Coconut Beach Bungalows, run by a young man from Kampot, who seems to know very well what he’s all about. Average rating 9 from 373 reviews. Coconut Beach itself is, to our minds, one of the sweetest beaches on Koh Rong, with a small arc of white sand looking out to the southeast topped, for now, by a smattering of guesthouses buried in among the palms. Coconut Beach Bungalows wind around the hill to the left of the beach, with great views across the bay and out to sea. The bungalows are wooden, well-made and spacious compared to their peers, with storage space and a large balcony with comfy seating. The wide beds have very comfortable-looking mattresses, and mosquito nets. You can choose between a bungalow with one or two double beds and, interestingly, there is no difference in the price between them. If that’s out of your league, you could always try one of the tents pitched up down beside the beach. Two-person tents have been rigged up on wooden platforms and equipped with mattresses, pillows and towels. If even that is too much, you could take a hammock or pitch your own tent, for free. The bar and restaurant is open-air, with great views across the bay. The menu was designed by a couple of travelling Kiwi chefs, and is commensurately down to earth and hearty. Last updated on 27th June, 2016. 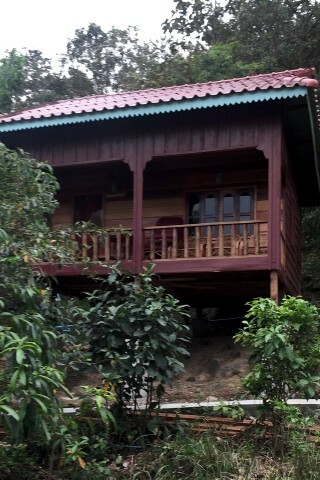 Room: Bungalow fan private bathroom, low season: US$40, high season US$40. Notes: Can sleep up to four people.